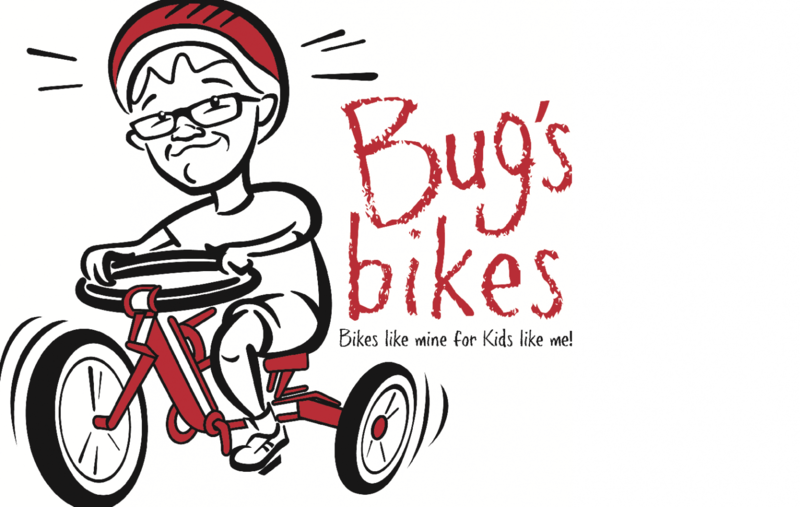 Bug’s Bikes was born out of a Lemonade Stand Bug asked to have in August 2013. He raised just over $2000 over 3 days. We decided we couldn’t stop there, so we created Bug’s Bikes, Inc. so we could continue helping Bug raise money for his friends to have the opportunity to have their own bikes just like he has his! Bug gave his first bike away to 5-year-old Sienna Brown on October 2nd, 2013 and WOW! What an amazing joy it brought to each and every one of us. To see the joy on Sienna’s face when she received her bike made us all want to do it again and again and again! This experience inspired us so much that we have incorporated as a non-profit in Massachusetts and we are filing for our 501c3. What started as the whim of a child to help his friends, the big-hearted efforts to make others like him happy has become a family and community effort to provide the childhood experience of riding a bike to all children despite their ability, disability or agility. Bug’s bike’s goal is to provide adaptive and therapeutic bicycles to children with disabilities as well as to provide parents and their providers with the information and education they need to choose the appropriate bike for their child. 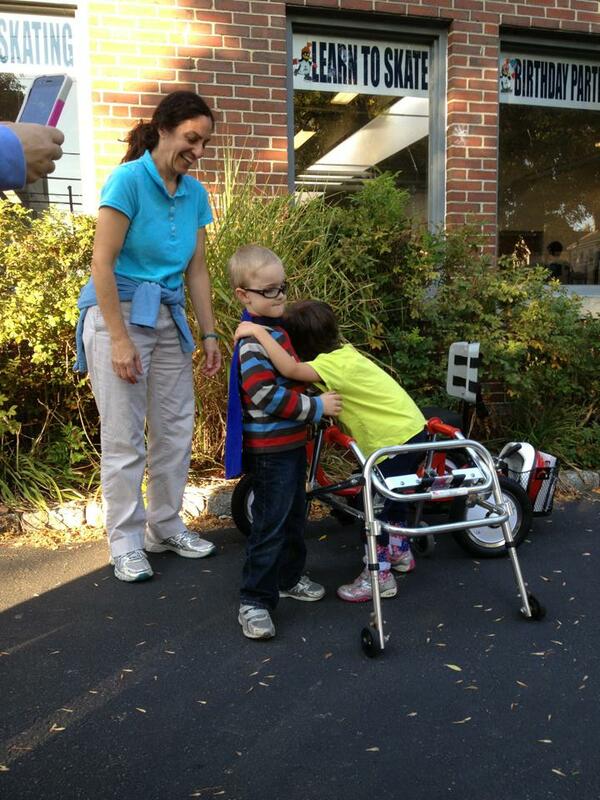 Our focus is solely Adaptive Bicycles and providing an experience all children should have. Our goal is 5 Bikes by May! Help Bug make this a reality! Yes. 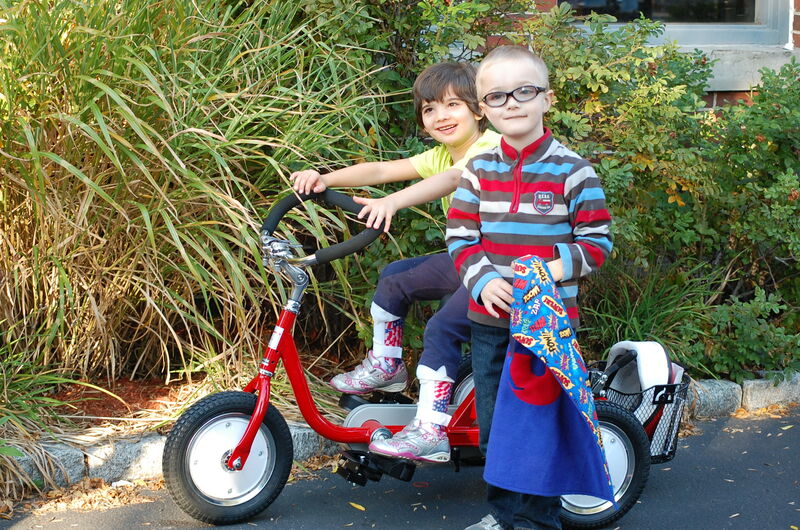 The trikes that Steven and Sienna are riding in the news piece cost $622. $600 would certainly buy a child a bike! We would be overwhelmed with gratitude if you could help!